​If you own a satellite dish you recognize that clear reception may quickly turn into poor reception. Waiting around for a satellite repairmen to turn up and adjust your satellite dish usually takes an eternity. If you depend on your satellite dish to watch all of your favorite television shows or sports events, you'll want some way of fixing satellite reception issues yourself- that's where a satellite signal meter comes in to play. Learning how to operate a satellite finder means you won't have to wait around for a satellite service technician, but it does mean that you will have to learn to operate the satellite finder, which will take some patience and practice (and YouTube viewing). Our highest-rated satellite signal meter is the SF-9505A Satellite Meter. But, let's take a look at 5 of the best-selling options on the market today. 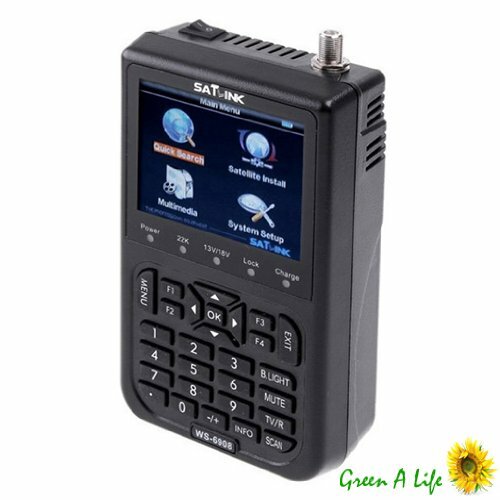 With the SATlink WS-6906 satellite signal finder, you can escape the traditional means of locating the satellite signals. It can potentially save you a lot of time when adjusting the satellite dish or doing similar tasks. When there is a signal lock, it shows a bright blue LED display and a tone. Unfortunately, there are a lot of complaints with this unit – ranging from poor instructions, claims that users received refurbished items, and the manual input requirement makes this unit a non-starter. 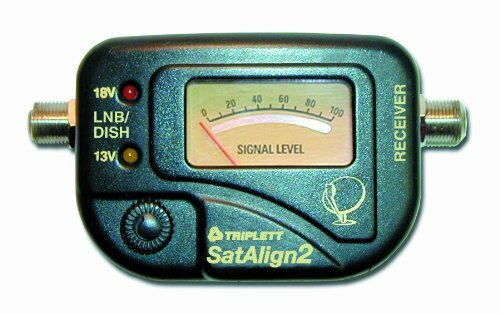 This Triplett satellite signal meter is compatible with DISH and DirecTV satellite dishes. It has a fast response speed adjustment capability, a clear analog display for readability and an audible tone that changes pitch to indicate signal strength. With a detection range of -40 to -10 dBm and a frequency range of up to 2,050 MHz, it comes with LED power, expanded scale meter and polarization indications.. The audible signal feature is okay but it can’t be turned off without totally disconnecting the unit. Designed to help you easily find and tune to satellite, this satellite signal meter is fitted with in-line IF signal strength meter as well as a light and electric buzzer that go off when a signal is found. 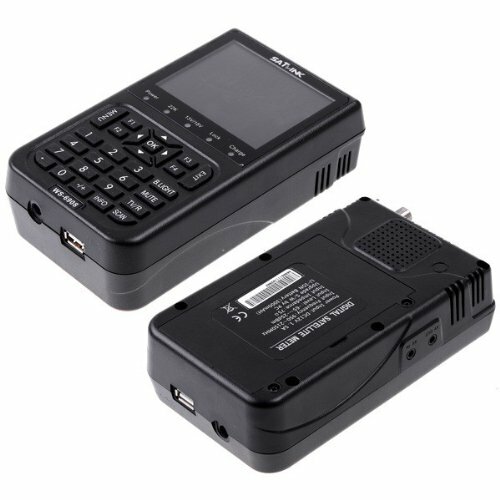 Small, lightweight and portable, this satellite signal finder has input frequency of 950-2150 and input level of -40dBm to a maximum of 10dBm. This device is great for satellite installation and re-pointing your satellite dish. This satellite signal meter is fitted with a microprocessor controller, 3.5-inch LCD color display, channel picture, bigger menu window and auto-protection for LNB short-circuit for stable performance. It allows users to see the azimuth and elevation, CBER/VBER, S/N, signal strength and signal quality on the LCD screen after a local DVB-S parameter is set-up. Known for its easy operation, this satellite signal finder has built-in amplifier to compensate for insertion loss and a sensitive meter designed for in-line use. It also has backlighting for clearer display, audio tone and buzzer that turns on if there is a signal, and is powered by a receiver which makes it ideal for outdoor use such as for camping. The input frequency of this device is set to a minimum of 950 MHz and a maximum of 2150 MHz while the input level is set between -40dBm and -10dBm. 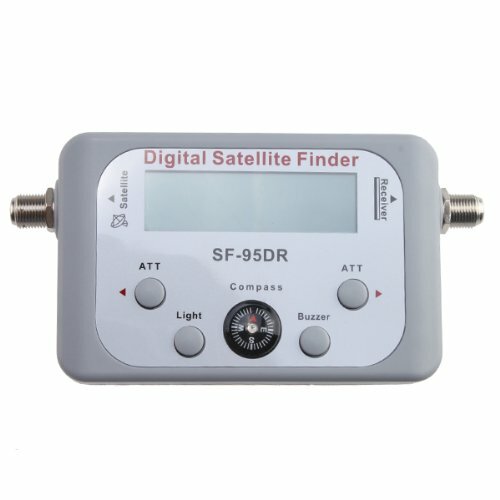 Some users that have purchased a satellite signal finder prefer that the unit displays the actual satellite names. Satellite signal finders are equipped to help with line of sight satellite dish issues on camper vans. One primary problem that some of these signal finder devices have is that updated information is required to be entered manually. Another common issue is that the quality of instructions is sometimes poor. Users frequently resort to YouTube to find video guides and walk-throughs for how to use their particular unit. These units can save a lot of time. One reviewer writes of having to actually lug their satellite TV receiver all the way up to the satellite dish adjust the signal. Now he just uses a digital satellite signal finder that is small and portable to do the same job. Some users write that satellite signal finders that allow for adjusting the sensitivity and attenuation of the meters provides greater signal strength readings. Another feature that some users appreciate is the ability to turn off the buzzer and lights displays. You can actually build your own DIY version- check out the guide in the link. For people living or traveling in camper vans, each and every time the van moves, the satellite television dish will require repositioning. 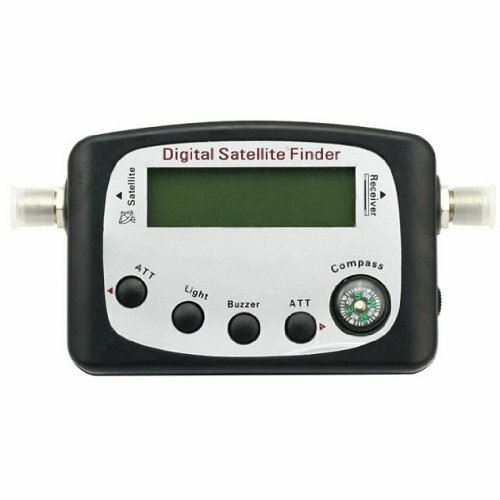 Without having a satellite signal meter, it might take some time to obtain a signal. 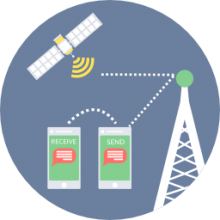 Determining the signal location and strength enhances dish reception which enable it to work around any area disturbance from blockages like tall trees or signage.